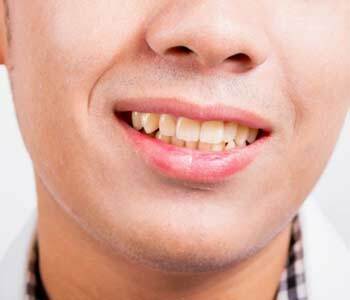 Issues with your front teeth such as discoloration, chips, misshapen teeth, or gaps between your teeth can cause embarrassment and prevent you from smiling as often as you’d like. With dental bonding, a cost-effective cosmetic dental treatment, you can transform your smile and regain your self-confidence. At Bella Vista Dental Care in Phoenix, AZ, Dr. Rashmi Bhatnagar is dedicated to providing personalized, comprehensive dental care to patients so they can achieve not only a smile that is healthy, but also one that they are proud of. 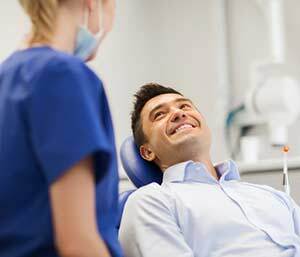 Dental bonding, which is also sometimes referred to as “tooth bonding” or “adhesive dentistry,” is a dental procedure that dates back to the mid-1950s. Since then, dental technology has come a long way, and dental bonding nowadays can help patients achieve a beautiful, natural-looking smile using durable materials. In dental bonding, the dentist applies a composite resin material that matches the color of your other teeth onto the affected tooth, then shapes it so that it looks natural and improves the appearance of the tooth being treated. The material that is typically used in dental bonding is a composite resin, which is a durable plastic material that can be shaped and polished for optimal results. This material can also be used as a better-looking option for a dental filling than amalgam. The results from the procedure are immediate, so you can walk out of the office in one appointment with your new, transformed smile. Alternatives to dental bonding include dental veneers, which are thin pieces of porcelain that are applied over the whole front of the tooth, and crowns, which can be made from a variety of different materials and are placed over the entire tooth like a cap. Both of these restoration options are typically custom-manufactured in an outside laboratory, which requires more than one visit to the dentist and costs more than dental bonding. After you have consulted with the dentist about your cosmetic goals and overall oral health and decided that dental bonding is the right treatment option for you, you will come into the office for an appointment that takes about 30 to 60 minutes per tooth. The dentist will first use a shading guide to determine which color to use for the composite resin material that will be bonded to your tooth. Next, the dentist will roughen the tooth’s surface and put a conditioning material on it so that the bonding material will better adhere to the tooth. Because minimal enamel is removed and no drilling is done, local anesthetics are not typically necessary. At that point, the dentist applies the composite resin to the tooth, shaping it and then smoothing it so that it looks like your other teeth. A bright light will be used to cure, or harden, the material after it is applied. Finally, the dentist will perform a final shaping and polishing to perfect the appearance of the tooth. Teeth that have been bonded work just like normal teeth and do not require any special care over time beyond good oral hygiene. This includes brushing after meals, flossing at least one time per day, and visiting your dentist at least twice per year for a professional cleaning and check-up. With proper home care, the bonding material should last up to ten years. The bonding material is strong but it is not 100% resistant to chipping, so habits like chewing on pencils, chewing ice, or biting your fingernails should be avoided. It is also best to limit your consumption of foods and beverages that can stain teeth, such as coffee, tea, red wine, or other deeply pigmented foods and drinks. Smoking or tobacco use can also cause the bonding material to turn yellow. At Bella Vista Dental Care, Dr. Rashmi Bhatnagar takes pride in helping patients achieve the smile they have always wanted. If you are located in Phoenix, AZ or surrounding communities and have imperfections in your teeth that you would like to address, we encourage you to call us for an appointment at 888-757-8007. New and existing patients are always welcome! We deliver the kind of dental care we want for our own families. I highly recommend choosing Bella Vista for you personal dentist. They are helpful, friendly, and very cost conscious of their patients. The staff is there for YOUR needs. I have been to many dentists throughout the years and this office and team is top notch! My family and I have been patients here for about 3 years. The staff is extremely friendly, knowledgeable & they always remember you! It’s a great feeling to know you are being treated & taken care of! Both of the doctors are really great too! I had excellent service today by Dr. Birch and his team! I had three silver fillings replaced and a porcelain inlay applied to one of them. It was a comfortable procedure, as I was well-numbed, and was happy to have the added distraction of a TV to watch. Dr. Birch and his assistant were detail-oriented and meticulous. The work looks great! Very friendly and caring staff who genuinely take an interest in your dental health. Their reminders via their web tools are also very convenient and make missing appointments a thing of the past. We have been with Bella Vista Dental Care for almost 3 years now and expect to remain under their care as long as we live in the Ahwatukee area. Highly recommended!